Apple, a company that makes pretty good phones and computers, is diving into the world of original content for some reason. 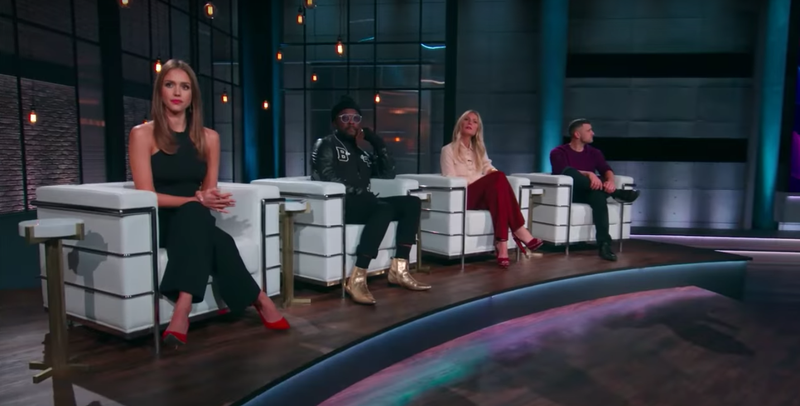 The company just released the first teaser trailer for its new show, “Planet of the Apps,” and the experience of watching it is similar to what I’d imagine being slowly lowered into a vat of acid feels like. The trailer was unveiled last light at Recode’s Code Media conference by Eddy Cue, the Apple executive with questionable music taste, and Ben Silverman, a former NBC executive. The concept for the show is uniquely awful—it’s almost as if the folks at Apple dreamed up the most unoriginal and potentially nauseating show just to see if people would watch it anyway. It combines noted tech geniuses like Gwyneth Paltrow, will.i.am—creator of many successful and useful technology products—Vayner Media CEO Gary Vaynerchuck, and Jessica Alba, whose brand of organic baby powder was recently recalled. Apple calls them the world’s “most culturally influential entrepreneurs,” because sure, why not? The contestants, however, probably have it the worst. They’re forced through the humiliating experience of pitching their app—one is described as the “eBay for the Snapchat generation”—while literally riding down an escalator, like some sort of second-rate Donald Trump. The esteemed tech geniuses then decide if they want to hear more. It remains to be seen whether a “no” causes a pit at the bottom of the escalator to suddenly open, sending the failed contestants into the fiery pits of hell. Following the premier of the trailer, Recode’s Peter Kafka turned to Silverman and asked: “How come no one has made a show about apps until now? It seems like there’s a good reason there hasn’t been an app reality show.” Silverman explained the real “game changer” with this show is that the people who watch it will be able to instantly download the apps and “connect with the product that night.” Sure, sounds like fun. Anyway, this show looks pretty bad, and it’s a pretty safe bet to say it will flop, particularly given that it will live on Apple Music. If for some reason your vision isn’t going and you’re still able to comprehend reality, the full interview is here.